Walked around town and stumbled upon this. I just checked my phone contacts, I don't have anyone with the surname / family name of Chuang or Ngiam as my contacts. Do you know any Chuangs or Ngiams? The news reported that there's some new "Carbon Emissions-Based Vehicle Scheme", which you get some rebates that's quite enticing for those getting new cars. Looks like people will be attracted to cars with low carbon emissions or maybe zero emissions like electric cars. 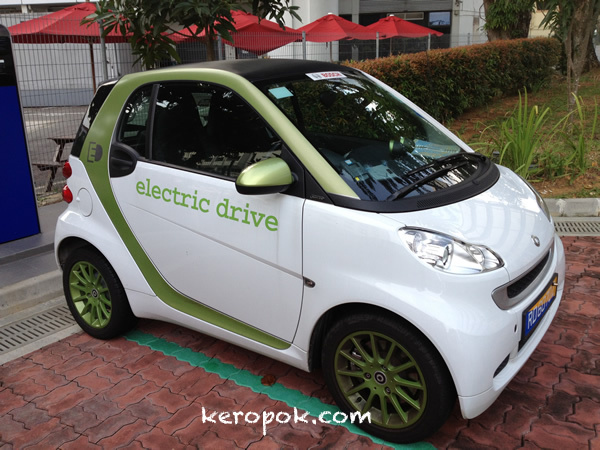 In Singapore now, there's some testing of electric cars going on. It's only for companies and not individuals though. It's been "on testing" since 2011. 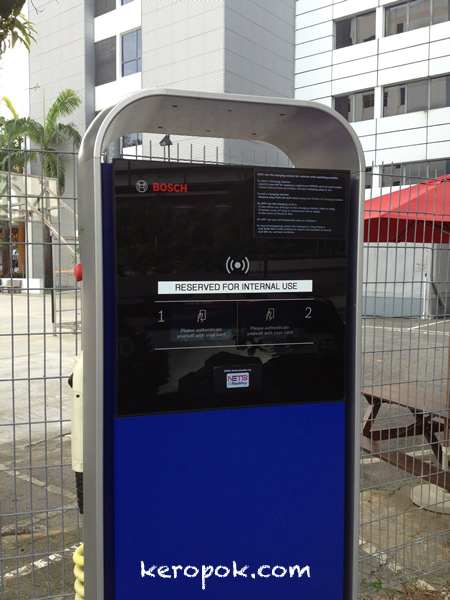 With electric cars, the cars needs to be charged and I saw these charging stations at the Bosch South East Asia HQ in Singapore. Interesting isn't it? 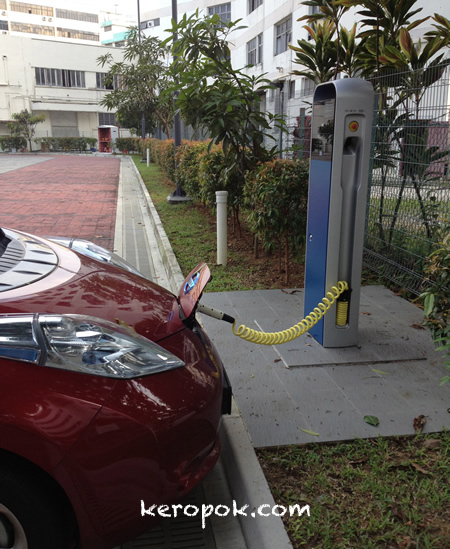 Here's an example of charging on a Nissan electric car. I wonder how many hours of charging is needed. Another example of the electric car. This should be a Daimler Electric Drive right? I wonder if the general public can 'test drive' these cars. 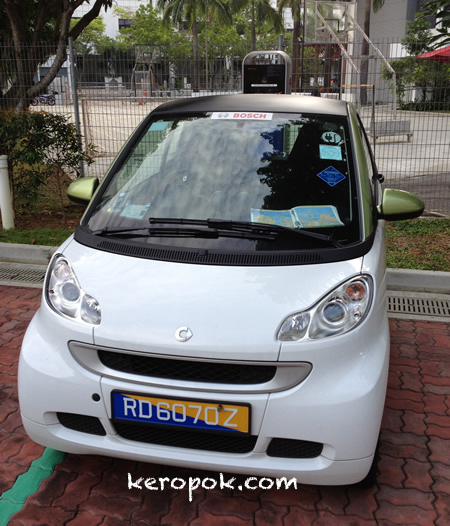 If you are geeky person too, you can actually rent 'eCars' or 'eBicycles' now in Singapore. 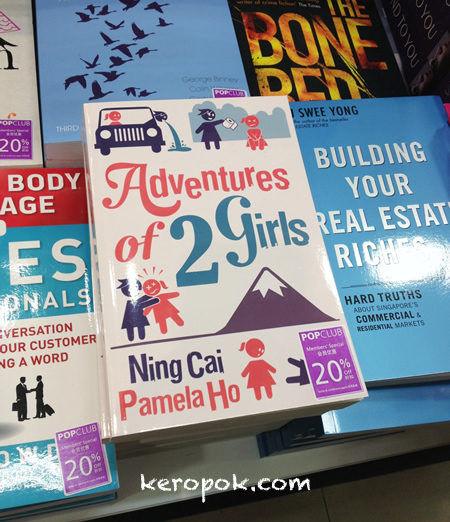 You have to be living or working near Buona Vista / One North area though. Geeks can proceed to http://smove.sg/ to find out more. 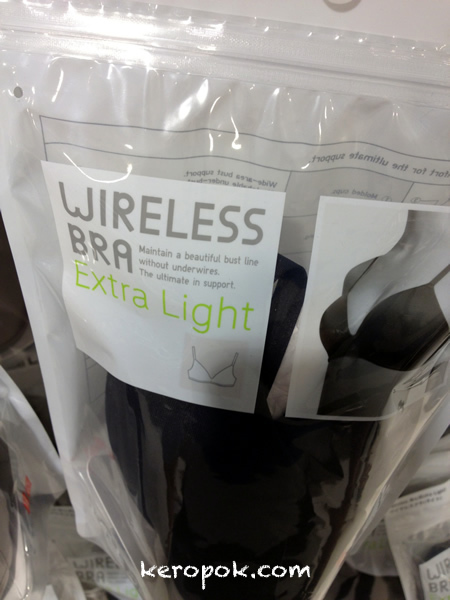 When I was out with the ladies at home shopping the other day, I really thought this was a Wifi enabled bra. Till I read the small print - "without underwires". There you go, having geeks for husband / brother. Was passing by the so called OED (Office of Estate and Development) or sometimes known as Estate Office in NUS and it's being boarded up and the building going to be demolished soon. 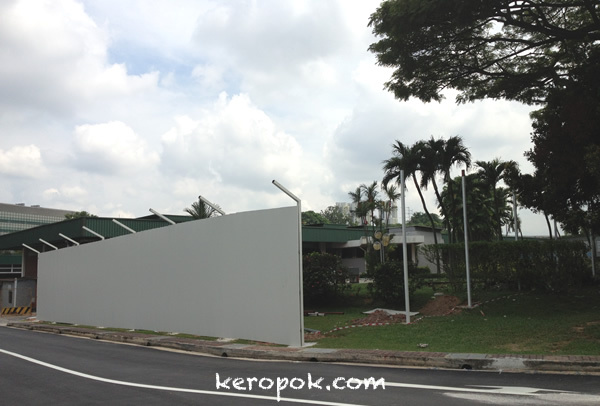 OED has moved to a new modern building build around trees facing Clementi Road. 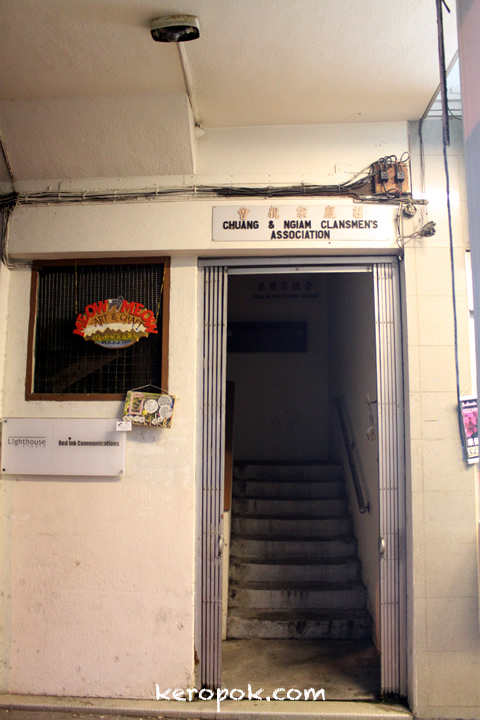 Their old building will be making way for the "Lee Kong Chian Natural History Museum". The Lee Kong Chian Natural History Museum will be the new home of the 3 dinosaurs found in Utah and bought by the museum. The museum will look like a huge rock with moss over it. Looks quite interesting. You can see the artist impression at this link, the NUS Newshub link. You can read more stories about the dinosaurs here and here if you are interested. People in Singapore love to queue. Queuing for hours, even 3 hours is no big deal for some. There was so so so many people queuing everywhere at Sitex. There are a few IT Fairs or IT Shows in Singapore in a year. Over the weekend, it was "Sitex" held at "Expo". We wanted to renew our cable TV subscription and saw a great deal advertised. If we re-contract our subscription at Sitex, we get a $30 Robinson voucher too! When we saw the queue to get to our turn was going to be 3 hours, we decided it was not worth our time standing in queue. We walked around the show looking at other stuff like cameras, notebooks etc but left without buying anything. Oh yes, we did re-contracted our Cable TV subscription. 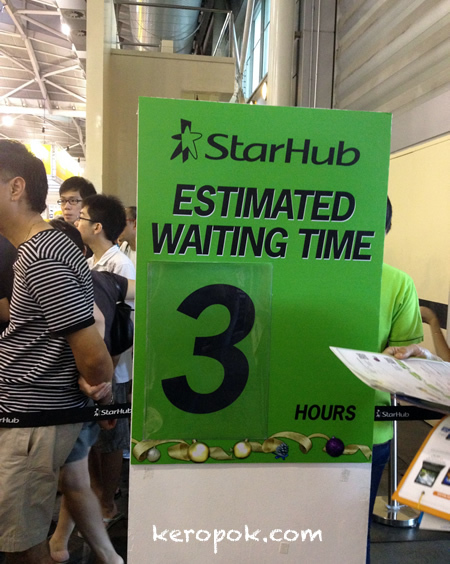 We did it at the Starhub shop later at VivoCity within 10 mins! (without the $30 voucher of course). We did however got quite a good deal too, served by someone who knows their products better and configured quite a good plan for us. We saw this the other day and had to snap a photo of it! It's a Salvatore Ferragamo Motorcycle! I saw this photo in my camera a few days after I took it. Thought it was funny that the 70 km/h sign beside it. 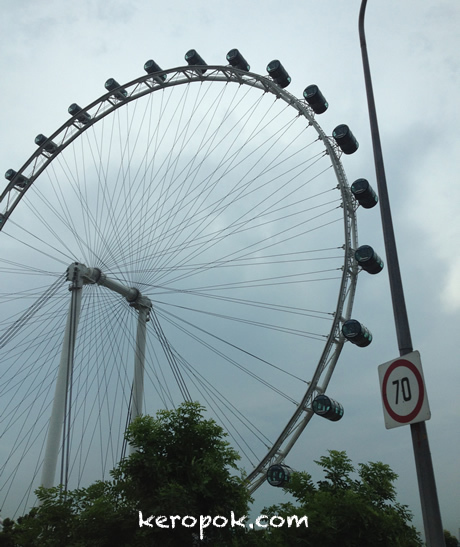 No, the Singapore Flyer does not rotate at 70 km/h! It would be fun if it does right? 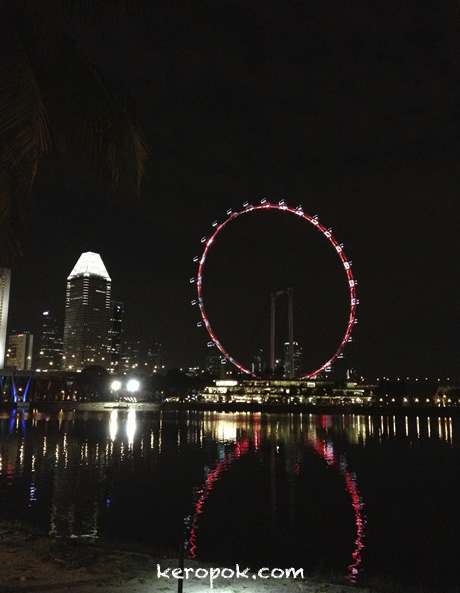 The Singapore Flyer as seen from the waters beside Gardens by the Bay. It has been raining in the afternoon and having night stroll at the Gardens by the Bay is quite cooling. Hmmmm! Another black sheep! 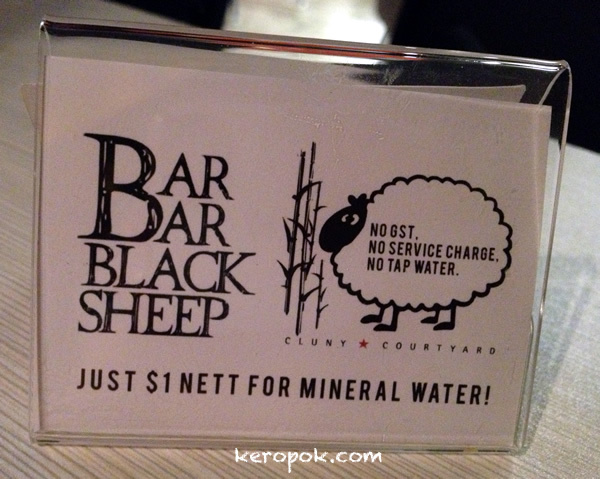 We were at new 'underground' kind of restaurant and it's called Bar Bar Black Sheep. 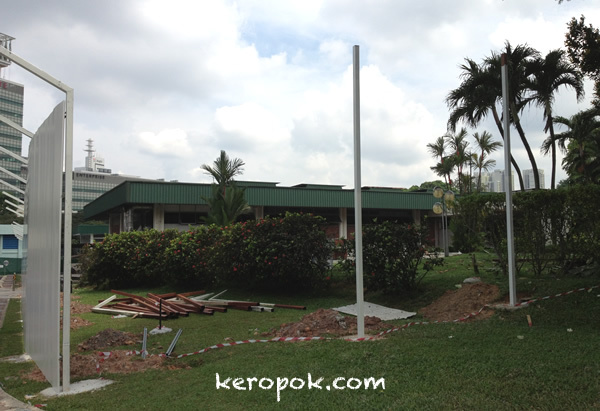 We thought this new branch was not as nice though. We prefer the original one further down the road. 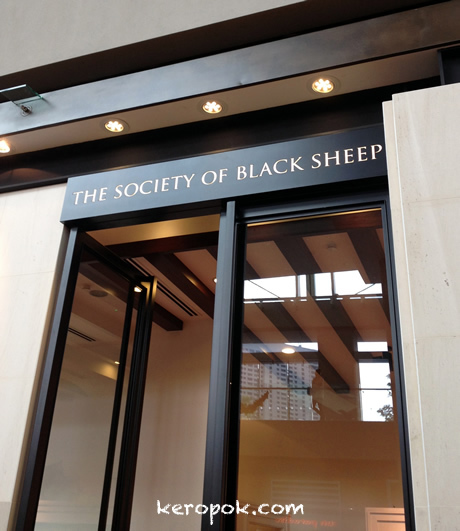 Why are sheep always black? Lambs are always white? Mary had a little lamb, it's wool is white as snow. Then when we got nearer, realised it's a shop selling most things black! I am not an early riser... it was difficult to wake up so early! Just saw a waiting bike at the traffic light and saw that it's named Samuel. 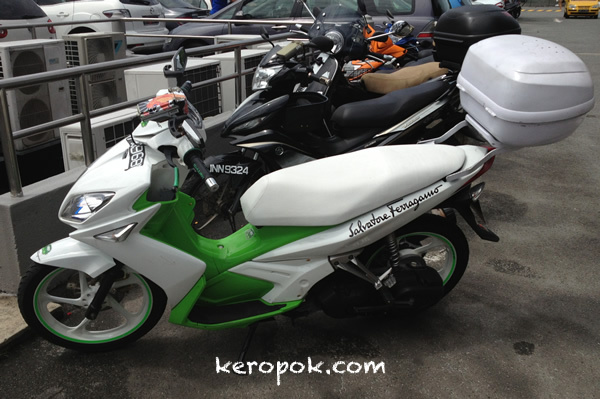 Do you think the biker's name is Samuel or it's the name of the bike? 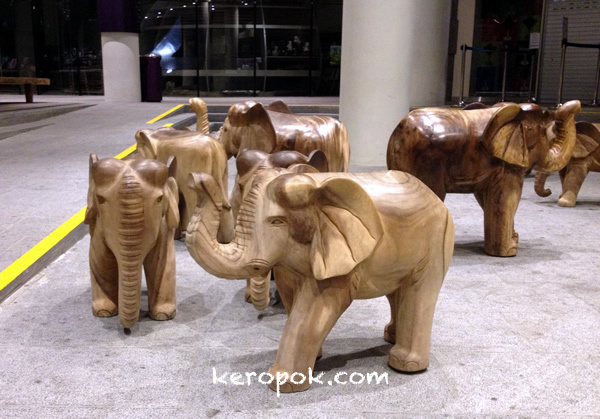 Elephants, wooden ones as seen at the beautiful Gardens by the Bay in Singapore. Reminds me of the real huge ones at the Singapore Night Safari that I visited a few weeks ago. Today's my sis' birthday. This is wishing her a very Happy and Blessed Birthday! My cousin, like sis, loves to bake. We had big family dinner and she made this beautiful and delicious birthday cake. The cake's name is 'Jaime'. 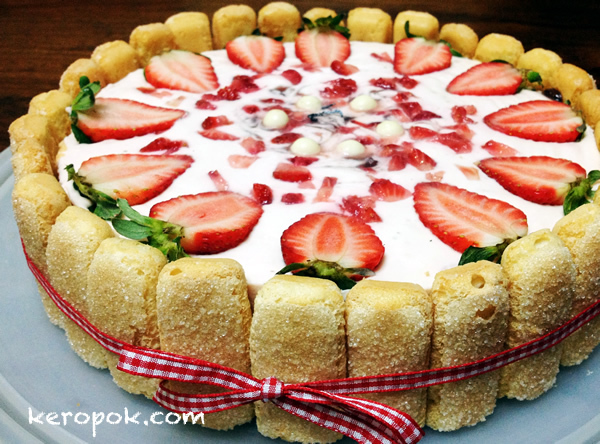 It's a Strawberry Yoghurt Cheesecake. It's such a delicious cake that you don't stop at one mouth and will finish it all off! Clearing off photos of my phone and saw this that I took some time ago. 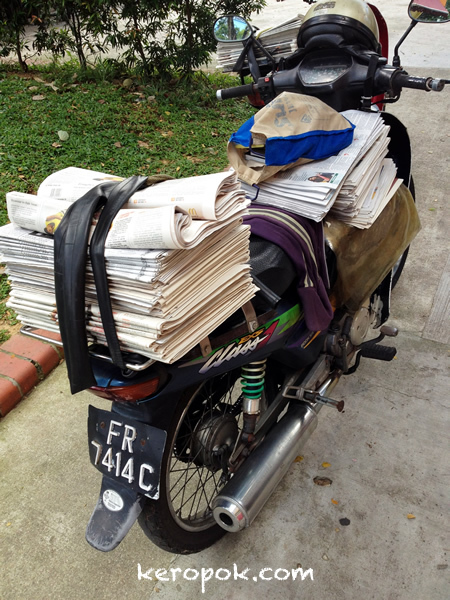 It's amazing how every part of the motorcycle can be stacked with newspaper for delivery. For you viewing this, are you a physical newspaper person or you prefer reading the same softcopy of the newspaper. Or you totally don't trust the newspaper and just get your news from blogs, twitter or word of mouth. I know you should not whip out your mobile phones in toilet to take photographs. People will get different ideas. I checked that there were no one inside and took out my mobile phone to take a photo of this. 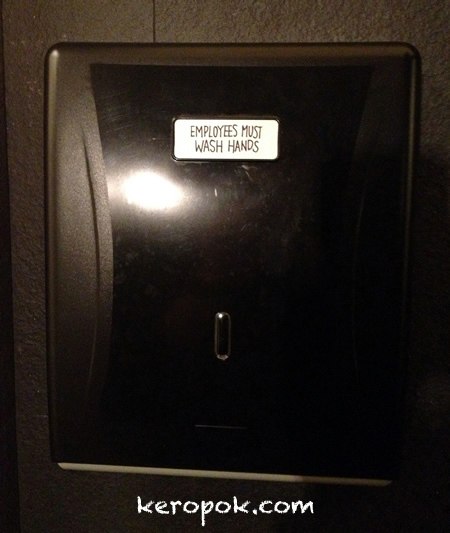 Are you a compulsive hand washer? Do you wash your hands with soap for at least 10 seconds? The wife and I love to travel. Our port of departure is Changi Airport. (SIN). 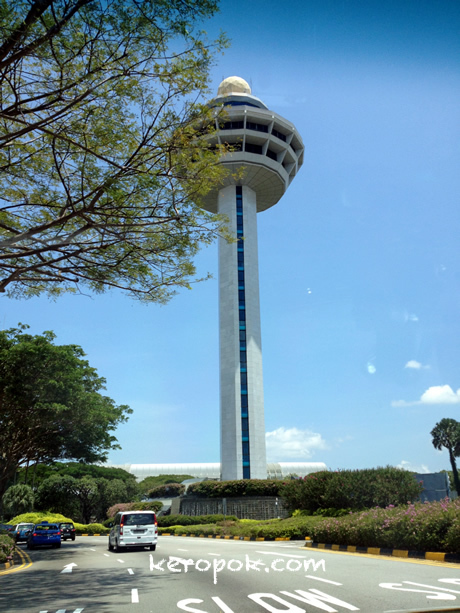 I always wondered if we can go up the control tower. We were off for a short holiday 1 hour up north and we were so glad we made it in time. The previous holiday, we missed our flight, because we were late! Has that happened to you? 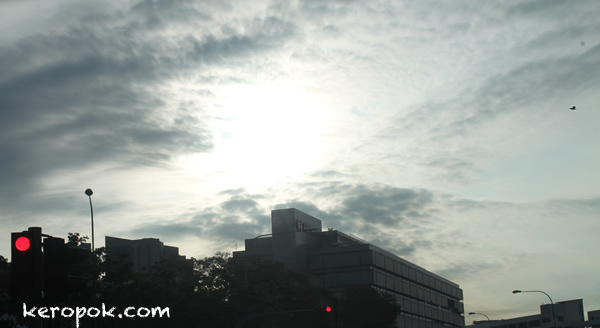 Took this photo inside the taxi on the way to the airport using the iPhone 4S.